Wishing you and your club members a very happy, healthy and prosperous new year. 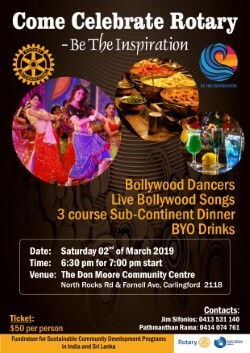 I am inviting you and your members to be part of this fun evening of good food, good entertainment and above all good fellowship with Rotarians and non-Rotarians. The funds raised from this evening will go towards the Sustainable Community Development Programs in India and Sri Lanka. One of the project that we are currently working on is to refurbish the district hospital in Vavuniya that caters for close to 500K of people. As an example, the hospital has 2 x 4 body chillers to preserve the dead for post mortem or until the family can claim the body. One unit is totally out of use and the other working in such a state that you might as well turn this off. Please call me when you are free and we can discuss this further. 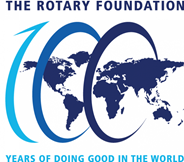 I am also more than happy to come as a guest speaker to your club to speak about our projects in India and Sri Lanka.